Our family of 4 took an Uber to Universal Studios. We got onto the bus quickly and arrived at universal pretty quick too! We got onto the bus quickly and arrived at universal pretty quick too! Wish we had more time though! Great transportation, but only 4 hours? Great transportation, but only 4 hours? I would advise against it. We had a lot of fun and went on a lot of scary rides, but it was great! Had no problem finding our way to our bus, staff was very good in giving direction. vacation sensation bus tour to universal studios was a great reliable tour bus company. 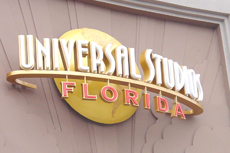 vacation sensation bus tour to universal studios was a great reliable tour bus company. I enjoyed my trip to universal studios. The only thing I booked with the ship was the $59 transportation fee from the port to Universal. HARRY POTTER at Universal is an amazing trip into that world. We purchased our tickets for Universal on line before the cruise. Booked transportation but ticket to park bought at the park. Booked transportation but ticket to park bought at the park. Would have been better if ship arrived before noon. Only 5 hours at the park. Universal was top-notch. I got reacquainted with an old college buddy. had a good time but 4 hours is not enough after travel time. Enjoyable for any movie buff, but some shows undergoing maintenance. Enjoyable for any movie buff, but some shows undergoing maintenance. Tried to get on one ride - stood in line for 45 min to find out that you need to have a waistline under 44" to go on the ride. Rented a car for 40 dollars and bought tickets for 100 pp for universal studios. the Harry Potter stuff was awesome. the Harry Potter stuff was awesome. really added something special to the Universal theme parks. Great time at Universal. Get the express pass, definitely worth it. It was about what I expected. A bus takes you to Universal and they give you you&apos;re ticket to get in. I think we had about 6 hours in the park which was more than enough for Universal. The bus ride takes about an hour. Universal is my family&apos;s all-time favorite park. I booked the transfer only through Norwegian. With the travel time involved we barely got to do The Harry Potter Theme Rides. With the travel time involved we barely got to do The Harry Potter Theme Rides. Had no time to eat but for some Ice Cream and had to wait until we got back to the ship. The park was impressive but we did not really have the time necessary to really see everything we perhaps would have liked to.